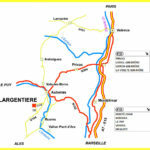 We are located in the southern Ardeche close to the gorges (Vallon Pont d’Arc) and the plate (Loubaresse). 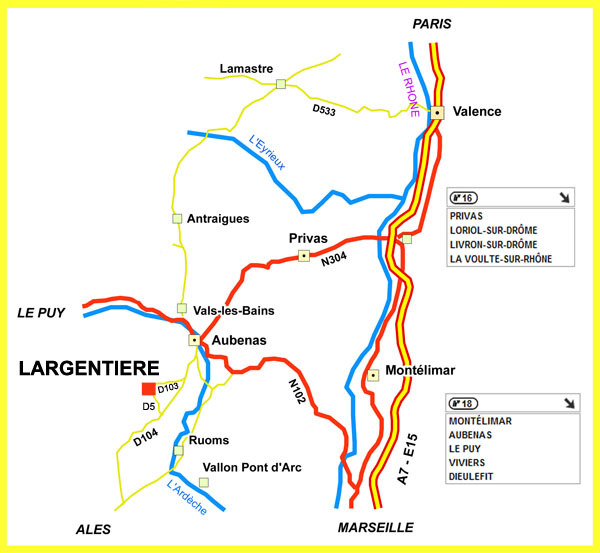 Largentière, prefecture of the Ardeche, lies in the regional nature of the Ardeche Mountains. It takes its name (“Argentaria”) to a silver-lead mines. Medieval city with its castle of the XII century, the church of the XIII century, and with its small paved streets, Largentière conceal architectural treasures, not to mention its great medieval festival the first Sunday of August. We have the Mediterranean climate with a beautiful sunshine all year round and a mild winter. The canton of Largentière is made up of small villages in stone (Vinezac, Balazuc,…) and famous for its crops in terraces (faïsses). 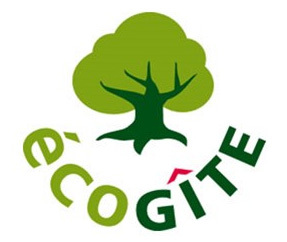 Envie de découvrir l'Ardèche autrement ?